Computer-generated imagery (CGI) is in more movies than you might think. Whether it’s enhancing a background, adding fog to breath, or even drawing Iron Man’s suit when he’s just standing around, it’s often invisible. If it’s done right, we barely even notice it. But if it’s done wrong, it stands out. There are a lot of ways CGI can go wrong, but we’re going to focus on one thing: physics fails. In a physics fail, the CGI object is either way too light or way too heavy. When it interacts with real objects, the CGI does not have the right amount of weight or momentum. When a physics fail happens, it makes the audience painfully aware of how fake a movie is. For example, nothing about this tank turret throw from Fantastic Four makes any sense whatsoever. How could a 500 lb rock monster anchor down several tons of steel? Why does the steel shatter? How come the impact doesn’t cause the nearby sand to scatter? Why does the blast fire out equally in all directions? Sure, the Thing doesn’t exist, but for the space of 2 hours the movie is asking us to believe he could exist in a world like our own. Every time the CGI breaks the laws of physics, we get slapped in the face by reality. Fantastic Four had comically bad CGI, but it’s far from the only movie with physics fails. Sometimes a physics fail happens for the sake of the plot, like with this incredibly lightweight helicopter because the effects team just didn’t bother to calculate for weight limitations. Sometimes a physics fail is just the result when a fake object and a real object interact, like when the director forgets that a desk should wobble or tip when an elf jumps onto it. So, how can directors make CGI better? Well first, if they fail at physics, learn better physics. Secondly, remember your audience is smarter than you think they are. Even a 12 year old can tell the difference between which scenes were shot on location and which action sequences were shot on a soundstage in Hollywood. And lastly, keep it real. Be more creative and find ways to make the effects using real life elements, robotics, animatronics, puppets and other creative arts that brought Hollywood magic to life in the first place. James Young lost his arm and his foot in a tragic train accident in 2012, and he has been adjusting to life with prosthetic limbs ever since. He has received a truly groundbreaking prosthetic from a London designer, that has made his limb look like Snake’s from the video game Metal Gear Solid. Konami, a Japanese video game developer, teamed up with the innovative designer, Sophie De Oliviera Barata to create the limb. Young was “carefully selected by Sophie as a candidate comfortable with the idea of an eye-catching alternative limb and who would benefit from the capabilities it offered,” say Konami. In Metal Gear Solid V, Snake gains an artificial arm after losing it in prelude Ground Zeroes. Although Young’s arm won’t be an exact replica, it will be inspired by the aesthetic of the virtual one, without the many weapons and espionage tools outfitted to it in the game though. The arm includes a smartwatch in the wrist. The fingers are controllable, and it also doubles as a phone charger thanks to a USB port. A panel on the outside of the shoulder houses a drone that can actually fly around. The arm is detachable and can light up in various colors, and is controlled by James via commands sent by his shoulder muscles to sensors. However, this is a work in progress. To achieve his goal of having two fully independent arms once again, James is currently seeking funding for a procedure called osseointegration, which will basically involve attaching the prosthetic directly to his bone using titanium. If you’d like to help out, you can donate to James’ cause on his GoFundMe page. “The Phantom Limb Project was born out of a desire to create something innovative, on the cusp of future technology, which would explore the themes present within the series and more specifically, the themes and ideas referenced in the latest incarnation: Metal Gear Solid V: The Phantom Pain,” the creators said. De Oliveira Barata designs unique prosthetic limbs. As founder of The Alternative Limbs Project, she has pioneered a field for individualized limbs built to match the tastes and personalities of their wearers. The evolution of prosthesis is a long history, from its primitive beginnings to its sophisticated present, to the exciting visions of the future. As in the development of any other field, some ideas and inventions have worked and been expanded upon, such as the fixed-position foot, while others have fallen by the wayside or become obsolete, such as the use of iron in a prosthesis. The Egyptians were the early pioneers of prosthetic technology. Scientists recently discovered what is said to be the world’s first prosthetic toe from an Egyptian mummy and it appears to have been functional. The Dark Ages saw little advancement in prosthetics other than the hand hook and peg leg. Most prostheses of the time were made to hide deformities or injuries sustained in battle. A knight would be fitted with a prosthesis that was designed only to hold a shield or for a leg to appear in the stirrups, with little attention to functionality. Outside of battle, only the wealthy were lucky enough to be fitted with a peg leg or hand hook for daily function. French Army barber/surgeon Ambroise Paré is considered by many to be the father of modern amputation surgery and prosthetic design. He introduced modern amputation procedures (1529) to the medical community and made prostheses (1536) for upper- and lower-extremity amputees. He also invented an above-knee device that was a kneeling peg leg and foot prosthesis that had a fixed position, adjustable harness, knee lock control and other engineering features that are used in today’s devices. His work showed the first true understanding of how a prosthesis should function. A colleague of Paré’s, Lorrain, a French locksmith, offered one of the most important contributions to the field when he used leather, paper and glue in place of heavy iron in making a prosthesis. Today’s devices are much lighter, made of plastic, aluminum and composite materials to provide amputees with the most functional devices. In addition to lighter, patient-molded devices, the advent of microprocessors, computer chips and robotics in today’s devices are designed to return amputees to the lifestyle they were accustomed to, rather than to simply provide basic functionality or a more pleasing appearance. Innovators such as Sophie De Oliviera Barata are taking the functionality of a prosthetic limb, and adding the personal style that reflects the wearer. As this field steps into the future, perhaps limbs like the one James Young wears will become a reality for more and more people who are faced with this challenge of replacing a limb. 3D Printing! When Do We Start Printing Body Parts? Some people think 3D printing is taking away jobs by automating the manufacturing industry. Others think it’s a revolution in engineering. In this lesson, we’ll look at some of the reasons for the hype surrounding 3D printing, focusing on health and wellness. Surprisingly, 3D printers have been in development since the 1980s. 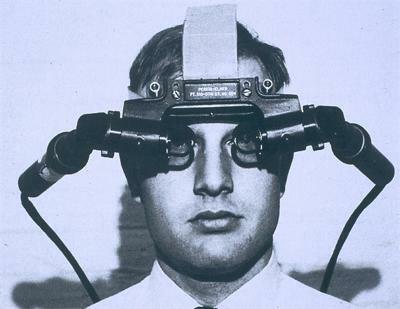 Charles Hull was the first person to patent the technology in 1986. Throughout the late 80s and the 90s, many companies focused on building 3D printers to be used for industrial design, to create prototypes. Because these printers were very expensive, only large corporations could afford to use them. In the mid-2000s there was a divide in the 3D printer industry. Though there were still innovations being made for the high-priced printers, there was a movement towards making 3D printers more affordable for the home or office. In 2009, the first commercial 3D printers were created by RepRap and MakerBot. By 2012, there were many 3D printer prototypes being funded on Kickstarter. Today a 3D printer can be purchased for around $1,000, but you don’t even need to own a printer to create a 3D object. You can send a file to a company like Shapeways or 3DHub to have it printed and shipped to you at a relatively low cost. 3D printing is an industry that’s developing extremely rapidly. The way 3D printers work is similar to a standard inkjet printer, but instead of ink, they use a different material and apply it in layers. Usually a photopolymer resin is used, which can be melted and resolidified with ultraviolet light. The photopolymer is spread out and is built into a 3D object by printing many layers on top of each other. This process is called additive manufacturing, because it involves building layers of material (as opposed to subtractive manufacturing, which is like sculpting – cutting away pieces of material). It’s a simple way to make a solid plastic object without much heat in a precise manner. This lesson will look at some of the things that are currently being made with 3D printers. Students can make their own informed decision on 3D printing’s positive and negative impacts. They can also design their own 3D printed innovations and envision what the future holds for 3D printing. Scientists May Have Discovered an Alien Megastructure…No Seriously. Scientists believe they may have spotted an Alien Megastructure orbiting a sun in a distant solar system. Not even kidding. There is a massive object orbiting a distant star and a planet or asteroid have already been ruled out as possible explanations. Relax, no one looked into a telescope and spotted the Death Star, but from the sounds of it, this object may be just as massive. Read on as Melissa, our science guru, breaks down the facts. Warning: It’s about to get real sciencey up in here. Yeah, Aliens are cool, but you’re going to have to learn a bit about the science we use to find them. The Kepler Space Observatory is a spacecraft launched by NASA in 2009. It provides an opportunity to explore the galaxy for habitable planets. It does this by observing a fixed location and watching the stars’ brightness. In time, planets will sometimes orbit those stars, causing a slight dip in the brightness of the observable light. That dip can be calculated to a certain percentage, and then, based on the size of the star, the size of the planet can be determined. This is known as transit photometry. Recently, a very large dip was discovered on a star named KIC 8462852. This star is 1500 light years away from earth. Whereas a planet will cause a dip in the light by a percentage or two, this star had a dip of about twenty percent. Twenty percent of the light emitted from this star was blocked by something incredibly large. It would have to be about half the size of the star itself to block twenty percent of the light output. Comparatively, Jupiter, the largest planet in our solar system, is only one tenth the diameter of our sun. This star is estimated to be 1.5 times larger than the size of our sun, making it nearly impossible for the object to be a planet. Many theories have been explored and there are some very likely natural causes for the dip, yet this mystery has lead some experts to consider this to be the result of a giant alien megastructure, periodically dimming the light with its orbit. Tabetha Boyajian, Yale University, led the investigations into the mysterious signals and found that the most likely natural cause was the break-up of a comet around the star. As the icy remains expand into giant clouds they could temporarily block out the light, causing the observed signal. But this should cause dust to scatter around the star, producing an excess of infrared radiation that should be easily detected from Earth. As yet, no such signal has been found. One of the main arguments against this alien megastructure theory, is that something as large as this object would be absorbing a lot of heat from the star. That heat energy would then be re-radiated and observed as Infra-Red wavelengths, and as of now no IR light has been observed from this star. This lack of Infrared is making it difficult to find the most likely explanation for the dimming event. Despite the disadvantages of this type of method for discovering exoplanets, the main advantage of the transit method is that the size of the planet can be determined from the lightcurve. When combined with the radial-velocity method (which determines the planet’s mass) one can determine the density of the planet, and learn something about the planet’s physical structure. The transit method also makes it possible to study the atmosphere of the transiting planet. When the planet transits the star, light from the star passes through the upper atmosphere of the planet. By studying the high-resolution stellar spectrum carefully, one can detect elements present in the planet’s atmosphere. Since the original news hit about the strange observations made about the star KIC 8462852, from the Kepler Space Observatory, astronomers have been busy looking over data and have uncovered some new information. Bradley Schaefer, an astronomer at Louisiana State University, wanted to investigate this particular star’s dimming pattern further. He went to Harvard to look at old photographic plates of stars. There were more than 1200 photographs of KIC 8462852 to view as part of a survey collected between the years 1890 and 1989. What he found made the mysterious star even more puzzling. He confirmed that the star is flickering on short timescales, similar to the findings of the Kepler Space Observatory, but the Harvard collection also revealed that its been doing this over the course of a century. The results also changed the requirements for the alien megastructure hypothesis. Schaefer is unconvinced that an Alien civilization would be able to build something capable of covering a fifth of a star that massive in just a century. He also reiterated the lack of infrared signal that would be required for such a structure. Ockham’s Razor is a problem solving principle with philosophical origins. It basically states that the simplest explanation for something is usually the right one. Well, nothing stands out as the obvious reason for this phenomenon yet, other than the confirmation that it’s the same thing that’s caused it for over a century. Pretty awesome even if it’s still a mystery. The Entrepreneur Brain: How Is It Wired Differently? Brain Scans performed at MIT show that Entrepreneurs tend to use their brains differently than most people, and think in a very specific way. While we use both sides of our brains simultaneously without thinking about it, people tend to think “more with their left brain” or “more with their right brain” when making decisions. “Left brained people” are more analytical and this is the side of the brain that uses logic, reason and critical thinking. They also use information that they already know. “Right brained people” have been known to be more creative, free flowing, and use emotions when it comes to making decisions, turning outward to learn in order to think. As it turns out, to handle the decisions of running your own business, it is beneficial to think both creatively, and think logically at the same time, that way you are following your heart and your brain – making emotional yet well thought out choices. Do people become entrepreneurs because of the way their brains are wired or do entrepreneurs evolve their way of thinking and brain activity as a result of their work? This is a question for further research, whether entrepreneurs’ brains function this way because of the kind of decisions they’re used to making, or whether people with these more interconnected brains are more likely to identify problems in the world and create solutions in the form of a business. “It’s a nature versus nurture question,” said Professor Maurizio Zollo, the lead author of the study. Despite the differences between either side of the brain, both sides of the brain really do work simultaneously, most of the time. In one study by researchers at the University of Utah, more than 1,000 participants had their brains analyzed in order to determine if they preferred using one side over the other. The study revealed that while activity was sometimes higher in certain critical regions, both sides of the brain were essentially equal in their activity on average. “It’s absolutely true that some brain functions occur in one or the other side of the brain. Language tends to be on the left, attention more on the right. But people don’t tend to have a stronger left- or right-sided brain network. It seems to be determined more connection by connection,” explained the study’s lead author Dr. Jeff Anderson. The debate over the differences between the two sides of the brain will undoubtedly continue, and perhaps more studies will shed a clearer light on the relationship between the hemispheres. Perhaps people who are more left or right brain oriented, and who desire to become skilled in using both more simultaneously will be able to legitimately train themselves in the near future.